A few years back, we decided to load the kids up and head to Carowinds Theme Park – just a short two and a half hour drive north. We had only been there twice before, never with a baby in tow, and never during a season when their waterpark area was also open. So this was a new experience to say the least, but was surprisingly fun for everyone. Well, on the whole it was fun, but I would be lying if I didn’t say that there were times throughout the day where someone struggled just a little. The struggle, surprisingly, wasn’t in the waiting in lines or in enduring the weather, as we had timed our trip for a less busy day and God blessed us with overcast conditions. No, the overall struggle that reared it’s head in several different ways was with fear. We had been to Carowinds before where Isaac had come face-to-face with a roller coaster called ‘The Intimidator’. 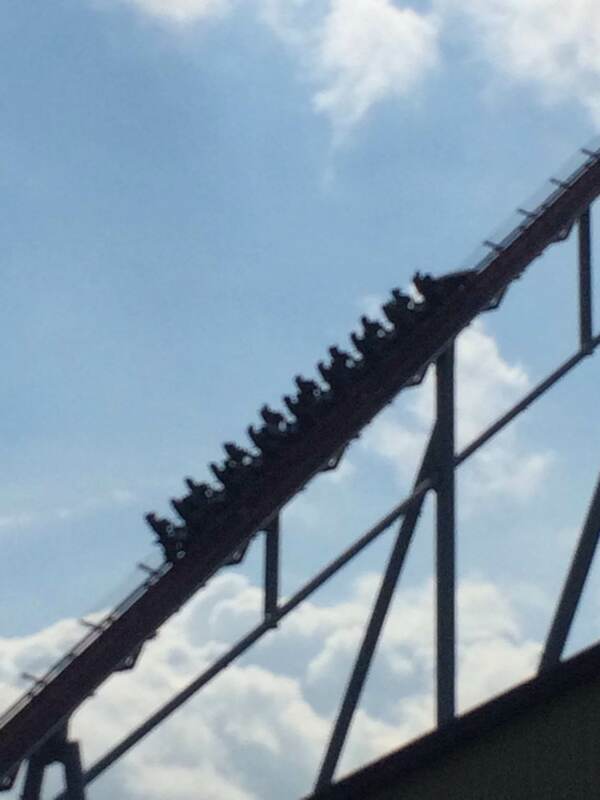 A large red coaster with lots of deep drops and that went pretty fast. At the time, he was not quite tall enough to ride it, but since that trip he has stressed and worried about the day when he would be tall enough. 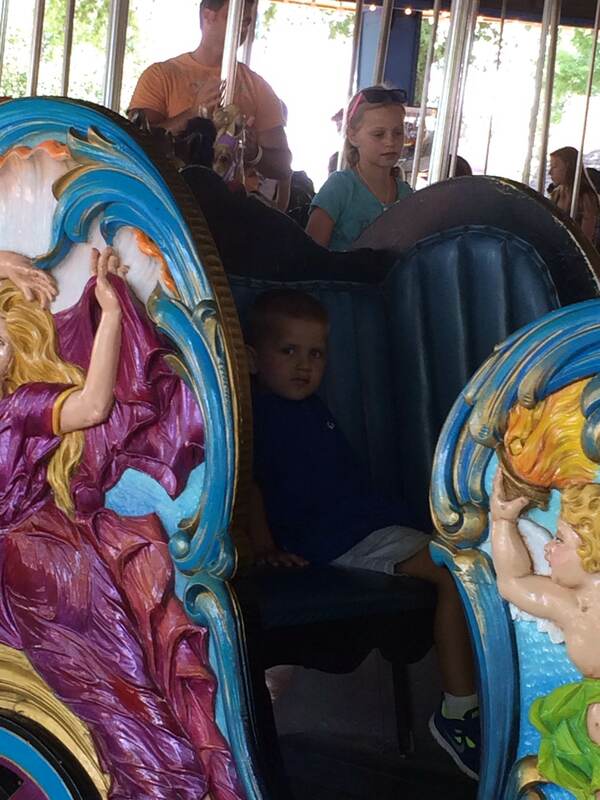 For months preceding this current trip – he would come downstairs well after he was supposed to be asleep – and tearfully share his concerns over the safety of this ride. Would it break? Would he get hurt? What if…? He had no knowledge of this coaster other than what his little eyes had taken in and therefore what he assumed about it. And the judgment call that his mind made was that it was scary and dangerous and that filled him with all kinds of fear and stress. We were not at the park very long before we were able to get in line for the ‘Woodstock Express’ – a fun little wooden coaster that even my then four year old Caleb could ride. Caleb was excited to get to be my riding buddy and was ready for the adventure. We got into our seats, belted in and off we went. Suddenly that excitement disappeared. Where he had gotten into the car with his hands already flung high into the air, they soon lowered as we began to move and before the first turn he was gripping my t-shirt. When he saw the first little hill, well little to me, that we began to go over – he was done. Something in him realized that this is not normal and he was instantly afraid to get back on, claiming ‘it was too fast. Fast is NOT my favorite.’ He had placed judgement that the speed was too much, that he was unsafe and therefore he wanted to write it off. Later in the day, I had a chance to ride a bigger coaster with Isaac and Lacie. It was the kind where the bar drops in over your head and your feet dangle in the air. I sat looking in the seat beside me and Lacie suddenly looked so small. 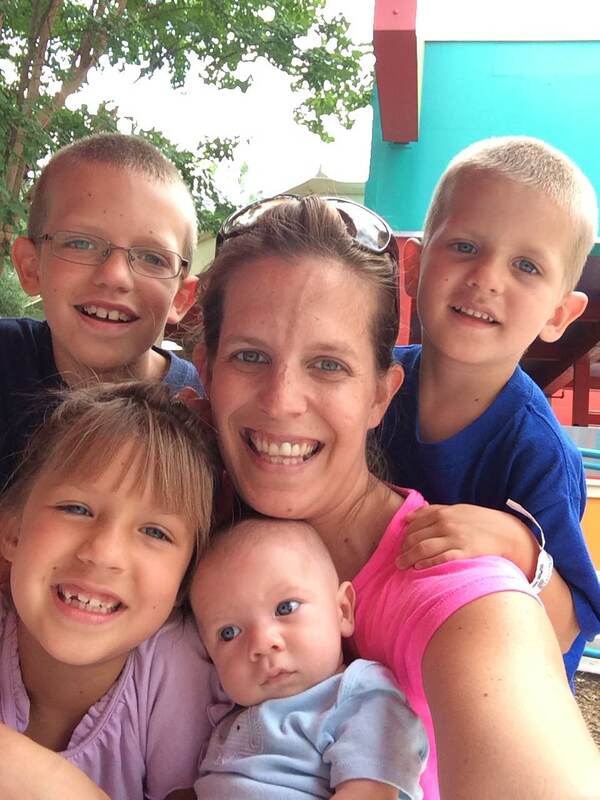 And instant fear came through me as we began to move – ‘what if she falls out.’ I was overcome with anxiety over the safety of my children and yes, as silly as it sounds, prayed for their protection the entire ride. I have thought of each of these moments on and off as I have been processing today’s verses from James. These are the first four verses found in chapter two and they read, ‘“My brothers and sisters, believers in our glorious Lord Jesus Christ must not show favoritism. Suppose a man comes into your meeting wearing a gold ring and fine clothes, and a poor man in filthy old clothes also comes in. If you show special attention to the man wearing fine clothes and say, “Here’s a good seat for you,” but say to the poor man, “You stand there” or “Sit on the floor by my feet,” have you not discriminated among yourselves and become judges with evil thoughts?”‘ Stay with me a moment as The Lord has been pressing a thought in my mind that connects what James is saying and what I experienced. At face value, I look at the illustration James paints here and know that there have been times when I have made similar judgement calls. I have allowed the appearance of a person or situation to factor into my reaction and my response. Making such judgement calls goes against so many things that the Lord asks us to do – ‘Love others more than yourself‘, ‘Trust the Lord with all your heart and lean not on your own understanding’, and on and on. In light of this situation, it is easy to see why one would pick a favorite – I have even see the reverse where the one who was dirty and poor was thought of more highly than the rich one. But what keeps ringing in my head is not that we tend to choose favorites, that we tend to make assumptions, that we tend to do for one and not another…what keeps blasting in my head is – why? Why do we do these things? Why is it that so often we can make assumptions, judgments and even decisions based on very little. In my opinion, it is because it is easier. Going after the one that looks like they have it all together, on the surface, makes it seem like we won’t have to get so dirty ourselves. Less work, less time, less energy, less time needing to pray about it and take it before the Lord…it just looks easier. What concerns me is how much of our lives we live in this way, making these assumptions, choosing favorites, looking for the nicely packaged deal. In relationships we look for the best friend, not the absolute mess. In jobs, we look for the most money with the least amount of work. In extra curricular time, we look to the fun not more work. We do these things for a number of reasons (selfishness, pride – sure), but I think there is fear in choosing the wrong thing. There is fear in being in a relationship with someone who requires more time and has nothing to offer to you. There is fear in working a job that is hard and offers just enough to live on. I think we tend to let the fears of this world, and our personal short-comings, overtake us. I think we tend to forget that we are to cast all of our cares on the Lord, that He desires to carry the burdens that this world places on us, that He loves us so much and that we are filthy rags that he reached down to make clean again. We let fear and uncertainty consume. We try to justify. We try to find the loop hole that makes it okay. Do you take every situation, every decision, every thought captive and to the Lord? Or do you let fear consume? Do you let uncertainty overwhelm? Do you let laziness dictate your actions and thoughts? When we stepped into the theme park that day – we immediately went to ‘The Initimadator’ – knowing that it would ruin Isaac’s entire day if he had to stress and fret over this ride. We talked with him about how, as his parents, we would never intentionally put him in danger. We asked him to trust. When he got off of the ride, he looked at me and said ‘That was awesome.’ (followed by ‘I am a man!’ – ha!). Precious Lord, In everything may I make my requests to you. When faced with relationships – no matter how deep or surface-y; no matter the length of time I will spend with them (building deep trust or talking in the grocery store line) – may I look on them through your eyes. May I not turn away from one for another. May I not think I’m better. May I not be afraid of getting down on the floor and getting dirty. May I not be afraid that I’m less than. May I not get so consumed in my thoughts and fears, but be more concerned with loving as you have loved me. In situations where I have the opportunity to make a judgement call – may I look to you – what would you have me do, how would you have me respond. May I trust that in hard times you will hold me. May I trust that you don’t always call us to the difficult – but you do promise no matter what that you will be there to see us through. Forgive me for the many times I have chosen favorites. For the many times, I have been selfish and prideful. For the many times, I have just been so scared to seek you and trust you. I love you Lord. Thank you for not turning me aside, for not looking away, for not being afraid to get dirty, to take on both my pain and shame, for loving me so completely. For my friend reading this today, Lord, how I pray for them. I pray that they would trust you with an unwavering trust. I pray that every situation, every opportunity, they would put ‘self’ aside, they would seek you and they would trust your ‘whys’, they would trust your lessons, they would trust your outcomes. I thank you for loving them so perfectly, so deeply. May they feel that in immeasurable ways today Lord. Humbled by you today Lord. In you Jesus’ sweet name – Amen!